Pool wall foam is comes as a closed cell foam sheeting measuring 1/8″ thick by 48″ tall and in various lengths to accommodate any pool size. 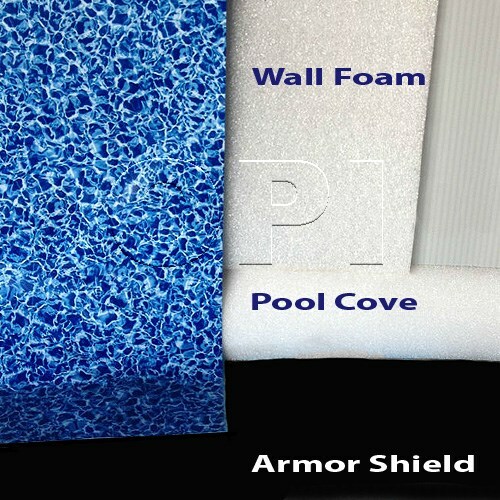 Pool wall foam is designed to add padded barrier between the pool wall and pool liner. This padded barrier also has an insulating factor which helps the swimming pool retain heat and keep the water warmer. Wall foam is also popular when relining an older above ground pool. The use here is to smooth over a rough or rusty surface and protect the new pool liner from punctures. Pool wall foam is held in place to a clean dry pool wall with Foam Bond, an extremely sticky spray adhesive. Pool wall foam even though 48″ tall works great on pool walls up to 54″. This is because the bottom of the wall has at least a 4″ pool cove anyway so the extra length of the wall foam is not necessary. 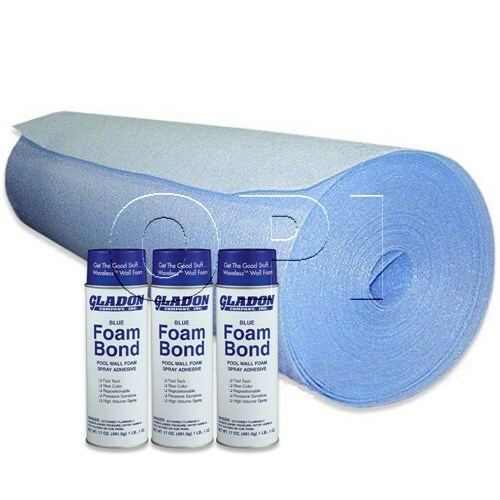 Wall Foam kits come with the proper amount of adhesive needed for the pool size specified. Color of wall foam may vary but is not significant when installed.